A team of researchers at the University of Utah discovered a single gene that influences the wing pattern of pigeons and human blindness. Variations in the gene mentioned above decide which of the four different feather patterns a pigeon will develop. 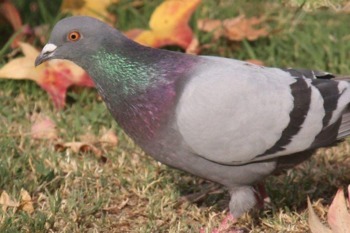 The genetic research on pigeon wing patterns revealed a link to humans living with blindness. “The gene that we ended up finding associated with the wing patterns is pretty well studied in humans in the context of a hereditary disease that causes blindness," said Anna Vickrey, a Ph.D. candidate at the University of Utah and the lead investigator of this new research. SDCB can help you improve your life quality; please contact us to learn more about our programs.